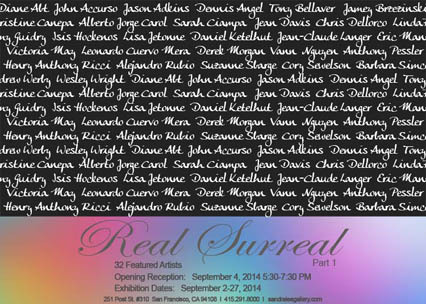 I have 2 paintings- “Outside Inn” and “Splinter Group”- in the “Real Surreal” show at the Sandra Lee Gallery. Juried by DeWitt Cheng, the show dates are September 2 – 27, 2014. This entry was posted in Show on September 2, 2014 by Cory.